I can think of two great reasons to partake in this weekend's Big Ten Pub Crawl in Atlanta. First, if you live in the Southeast and you attended a Big Ten school, no doubt you're tired of all the barking (Georgia style), Florida Gator antics and anything else the SEC and ACC schools have to offer. Here's your chance to be surrounded by the glory that is the Big Ten (GO BLUE!). Second, this year's Big Ten Crawl is benefitting the Homeless Pets Foundation, created in 1998 to aid abandoned and homeless animals AND to bring people and animals together to enrich each other's lives. The Big Ten Alumni Club of Atlanta raised more than $25,000 for charities in past events, and it's hoping to "crush that number" this year! All net proceeds from the pub crawl with benefit Homeless Pets Foundation. Here's how to learn more about the pub crawl and buy tickets. The event starts tomorrow, Aug. 20 at 3 p.m. in the Buckhead area of Atlanta. Homeless Pets Adoption -- adopts out animals through Town and Country Veterinary Clinics in the Atlanta area, and cares for the many dogs and cats in the program. Learn more about how to adopt. Homeless Pet Clubs -- partners with schools and workplaces to help adopt out animals. Learn more about how to start a club for your school or workplace. Homeless Pets Transport -- moves animals to high-demand areas to help ensure the dogs and cats find loving homes. To learn more, donate or volunteer, visit www.homelesspets.com. 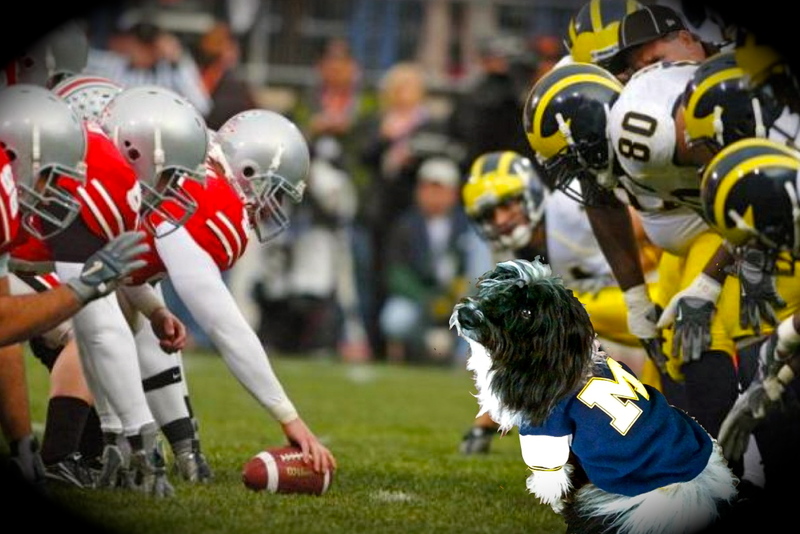 Cosmo's a champion for homeless pets and for the mighty Wolverines. Go Blue! You live in GA now so don't be doggin' on the Dawgs! This is such a great cause Cosmo, have fun at the pubs and stay away from the beer! hahahaha! -- Figured we might stir up a few folks... woof, woof, woof! Great post Cosmo, looks like a fun event. Too bad we live so far away!